We've missed you this summer! Grab a friend and swing by Gallery 1930 to see what's new for fall! Grab a friend & come enjoy some wine + cheese and a little jazz music outside on April 19th! 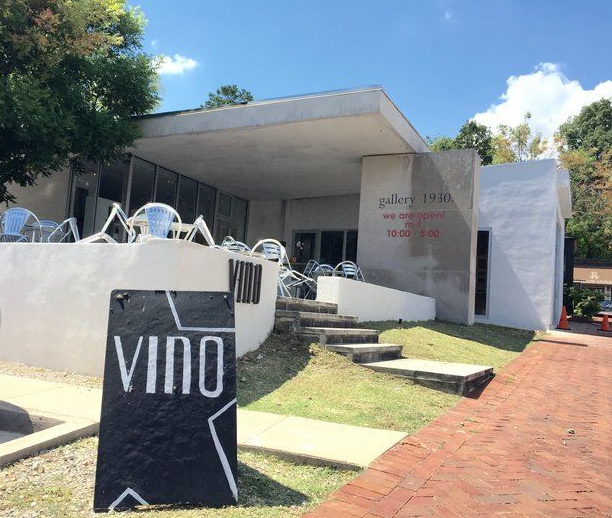 Terroir : "The characteristic taste & flavor imparted to a wine by the environment which it is produced"
Nearly four years after opening, Vino Restaurant in Mountain Brook's English Village is partnering with the adjoining Gallery 1930 art gallery to add a cocktail and oyster bar. The new space, called the Gallery Bar, will operate as an art gallery during the day and then transition into a bar in the late afternoon, Vino owner Al Rabiee said. "It's something that I hope people realize that we don't have anything like it," Rabiee told AL.com. "It's really like a bar inside the gallery, with a very relaxing atmosphere and basically catering to the same people that we cater to here (at Vino)." The project has been under construction since April, and Rabiee expects to be open for business by the end of August. Monday - Thursday 4 p.m. to 10:30 p.m.
Friday - Saturday 4 p.m. to 11:30 p.m.